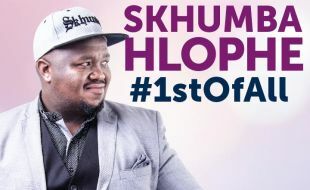 Skhumba Hlope proved he’s a definite favourite among eMahlaleni residents, with a sold-out, one-man show entitled “Skhumba Hlophe...#1stOfAll” at The Ridge. In this popular show, on Saturday 01 April 2017, he took the audience on a journey through his hilarious retelling of stories of life in the township. “Skhumba’s shows are always a crowd-puller and his return with this new showcase has lived up to the expectations. The #1stofAll show was a sold-out success, proving that local comedians can accomplish the same success as international acts. We are proud to have hosted this extraordinary talent”, says The Ridge Marketing Manager, Sharika Betts. Comedy fans can also look forward to Andre the Hilarious Hypnotist, with his wicked wit and quirky sense of humour. Comedy fans are in for an evening of pure comedic genius as Riaad Moosa takes to the stage with his new show, Life Begins, at The Ridge on Saturday, 04 March 2017. In Life Begins, Moosa invites the audience to join in figuring out whether life really does begin at 40. Life Begins is a snapshot into the life of Riaad Moosa – being a father of three kids, a husband, comedian, actor, with all the current cultural and political issues thrown in. As an award-winning comedian, actor, writer and presenter, Riaad Moosa is one of South Africa’s most popular and acclaimed funny-men. He also happens to be a qualified medical doctor, which earned him the nickname “Comedy Doctor”. As a comedian, Moosa proves that sometimes, laughter really is the best medicine. He also starred as Ahmed Kathrada in Anant Singh’s Oscar and Golden Globe nominated movie “Mandela – Long Walk to Freedom” and previously played the lead in the internationally acclaimed movie “Material” (also co-written by Moosa), winning the SAFTA (South African Film and Television Award) for Best Actor for his role. The film also received SAFTA’s for Best Film, Best Director and Best Supporting Actor in 2013. Says The Ridge Marketing Manager, Sharika Betts “The Ridge is excited to bring Moosa’s new show, Life Begins, to comedy fans in eMalahleni,” she adds, “his latest show will provide a healthy dose of laughter and promises to be another sell-out performance, so fans need to get their tickets early”. 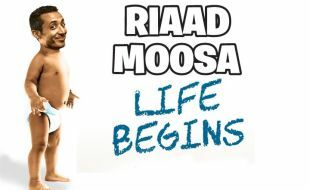 Life Begins, with Riaad Moosa, is scheduled to start at 19h00 and tickets are available from Computicket at R150 per person. Comedy lovers are in for another treat, with Skhumba Hlophe making an appearance at The Ridge with his latest show #1stOfAll. The show will take place on Saturday, 01 April at 7pm. Tickets will be available from Computicket, at R150 per person. On Saturday, 11 February 2017, Ringo Madlingozi will be giving eMalahleni residents a taste of his latest offerings in classic Afro-Pop music as he makes his grand return to The Ridge Casino, in association with Ampfarisano. 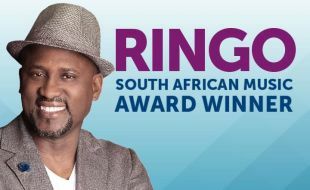 A legend in the South African music scene, Ringo has scooped up multiple awards for his albums. This includes the South African Music Awards (SAMAs) and the Kora All African Music Awards, where he won the Best Male Artist in Southern Africa and the African Continent Awards - to mention a few. The Cape Town-born musician has collaborated with artists like Hugh Masekela, Simply Red, Teddy Pendergrass (The Power of One) and Caiphus Semenya. In addition, he also featured on the soundtrack for the movie The Lion King. “The Ridge Casino consistently brings guests the ultimate in local entertainment. We look forward to hosting Ringo and what is set to be a stellar performance. We urge fans to get their tickets as soon as possible before they are sold out,” says Sharika Betts, Marketing Manager at The Ridge Casino. Music lovers are in for another treat on the same evening, with former SA idols star Brenden October appearing as the supporting act for Ringo. The show is scheduled to start at 7pm and tickets are available from Computicket at R250 per person. The Ridge Casino rewards cardholders will receive discounts up to 15%. 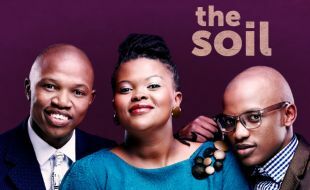 The Ridge Casino is anticipating a sell-out show as multi-award winning acappella group, The Soil, get ready to perform at the casino’s upmarket entertainment venue, The Arena, on Friday the 4th of November 2016. The internationally-acclaimed group is returning to eMalahleni on a tour to launch their new album, Echoes of Kofifi, and enchant local fans with their new harmonies. “The Soil has graced some of the biggest global stages, including the USA’s Apollo Theatre in Manhattan and the Edinburgh International Festival in Scotland. We are delighted to bring the world-class group to eMalahleni and treat our guests to a night filled with amazing live acappella, and Afro-Soul sounds”, says Sharika Betts, Marketing Manager at The Ridge Casino. The Soil first grabbed the attention of music lovers when they released their self-titled debut album in 2011, which has since gone platinum. Their second album, The Soil Nostalgic Moments, was also a huge success and included the much-loved hit, Susan. 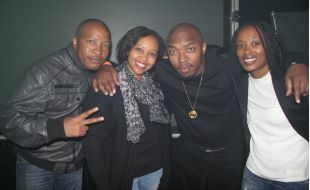 They have also been nominated for BET Awards and have won the SAMA award for best R&B/Soul/Reggae album. The group comprises of 3 members, Buhlebendalo "Soil Sister" Mda, Ntsika "Fana-tastic" Ngxanga, and Luphindo "Master P" Ngxanga. The trio’s performance at The Ridge will include new as well as old music, and will feature some special on-stage guests. Tickets are available at only R180 per person through Computicket. The Ridge Rewards cardholders are eligible for up to 15% discount on show tickets. The show starts at 7pm. eMalahleni can also look forward to a show with music legend Black Coffee, taking place on 10 December at The Ridge Casino. For more information, contact The Ridge on +27 13 655 9300 or visit: www.theridge.co.za. As Women’s Month draws to a close, The Ridge Casino hosted an unforgettable experience celebrating a combination of girl power and great entertainment. 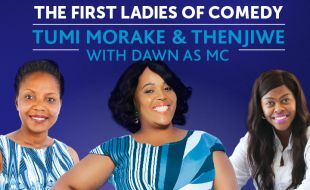 Tumi Morake and Thenjiwe brought their comedic talents to the casino’s stage on Saturday, 27 August 2016, leaving guests in stitches with their “First Ladies of Comedy” show. The queen of one-liners, Thenjiwe, delivered an act full of wit true to her viral internet Thenjiwe Comedy Skits. Tumi equally offered the audience a hilarious performance with her much-loved, “in your face” and slightly provocative style. The event also had other special guests on the line-up, including a surprise live performance by Aya Mpama, and Alice Shongwe and Emilina from Ligwalagwala FM as the opening acts. Acclaimed actress Dawn Thandeka King, best known for her starring role as Lindiwe Xulu, set the tone for the evening as the MC. “It was a great event filled with laughs, and a celebration of female excellence. The two ladies are the most successful female comedic acts currently in the country, and it was a great pleasure to host them and our other special guests as part of the casino’s Women’s Month celebrations,” says Sharika Betts, The Ridge Casino Marketing Manager. Visit www.theridge.co.za for more information. Mpumalanga house heads, make some noise! BET award-winning DJ, Black Coffee, is making his return to The Ridge Casino on Saturday, 10 December 2016 – just in time to kick-start the festive season. When you think ‘house music legends’, you think ‘Black Coffee’. Not only is he a household name, both locally and internationally, but he is also the first South African to receive the BET award for Best International African Act. No stranger to performing in front of massive crowds, this year alone, Black Coffee performed at Coachella Music and Arts Festival, Ultra-Music Festival (Miami) and also graced Europe with a tour. “We are truly honoured to once again host the legendary and highly acclaimed DJ Black Coffee at our venue. He is one of the most talented and respected musicians in the country, and he’s showing no signs of slowing down. We always strive to give our guests top-notch, unrivalled entertainment, and on the 10th of December, fans are in for yet another memorable music experience,” says Sharika Betts, The Ridge Casino’s Marketing Manager. 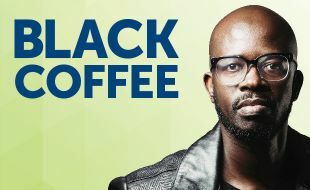 House lovers can look forward to Black Coffee spinning some of his fan-favourite songs and new material from his latest, platinum selling album, Pieces of Me, including his latest remix of Alicia Keys’ hit “In Common”, which is currently dominating South Africa’s radio charts and dance floors. Tickets for Black Coffee’s show cost R200 per person and are available through Computicket. The Ridge Rewards cardholders are eligible for an up to 15% discount on show tickets. Doors to the venue will open at 18h00, with the show starting at 19h00. Purchase your tickets now before they are sold out, and prepare to get your party on! For more information, contact The Ridge Casino on +27 13 655 9300 or visit: https://www.tsogosun.com/the-ridge-casino. Slots enthusiasts pay attention because this one is just for you: one of Tsogo Sun’s most exhilarating promotions, the Slots Factor Tournament, is back from Friday, 8 July until Saturday, 17 September 2016. One of the highlights on the Group’s calendar, Slots Factor will see enthusiasts from all over the country battle it out to take home a guaranteed one million rand in prize money. The Ridge hosted the official launch at the casino with a bang on Thursday, 21 July 2016. eMalahleni media and the casino VIPs were treated to a delectable selection of food and also got a chance to take part in the tournament on the day. Throughout the duration of the tournament, there will also be additional cash prizes up for grabs as the qualifying rounds take place at Tsogo Sun’s premier entertainment destination in eMalahleni, The Ridge Casino. “The enjoyment of this blockbuster tournament lies in the adrenaline-fuelled contest that pits slot machine players against one another at Tsogo Sun’s properties all over South Africa. 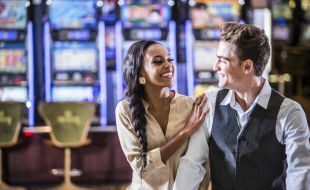 With such a low buy-in at only R100, the Slots Factor promotion guarantees players the thrill of a lifetime,” says The Ridge Marketing Manager, Sharika Betts. Once guests have registered at the Slots Factor Tournament Bank, the excitement kicks off on the casino floor, where slots players can immediately start playing from Sunday to Thursday between 14h00 and 22h00, and Friday and Saturday (including public holidays) between 11h30 - 02h00 daily. Casino Final Rounds will take place at each participating Tsogo Sun casino on Saturday, 17 September 2016 where the top scorers from each casino will win cash prizes and a place in The Slots Factor Group Finals. The Tsogo Sun Group Finals will take place at Gold Reef City on Friday, 30 September and Saturday, 1 October 2016 and will see 80 contestants from around the country play it out to win the tournament, with one lucky winner walking away with a guaranteed one million rand in cash! As one of 14 Tsogo Sun gaming properties in South Africa, The Ridge Casino supports the National Responsible Gambling Programme. Winners know when to stop. Only persons over the age of 18 are permitted to gamble. National Problem Gambling counselling toll-free helpline: 0800 006 008. The Venue at The Ridge is getting ready for one of the biggest shows on their calendar. 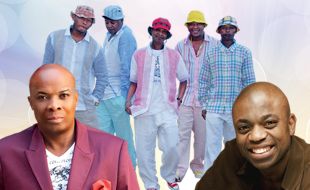 It will be taking Kwaito music to the next level when M’du, Trompies and Thebe are set to take the stage on August 6. This is going to be the Kwaito festival of the year. Kwaito is a music genre that emerged from Johannesburg during the 1990s. It is a variant of house music featuring the use of African sounds and samples. Typically at a slower tempo range than other styles of house music, Kwaito often contains catchy melodic and percussive loop samples, deep bass lines, and vocals. M’du also dubbed the ‘Godfather of Kwaito’ started his musical legacy on his grandmother’s piano. He later started performing with artist like Pat Shange, Yvonne Chaka Chaka and Sello 'Chicco' Twala. M'du ‘s debut album ‘LA Beat’ hit the shelves in 1990 and 26 years later M’du is still churning out hit after hit and will forever be known as the Godfather. With their brightly coloured costumes and streetwise singing and dancing, Trompies have risen to the upper echelon of South African music. Their records have sold more than half a million copies while their hits, including ‘Tholakele’, sold more than 40 000 copies. Their 1997 single, "Magasman," recorded with Lebo Mathosa of Boom Shaka, has become a national anthem and has been featured on the soundtracks of three South African films. Rooted in the mapantsula style, Trompies transformed the style's reputation as the music of gangsters to a much-respected musical approach. The steps that resulted in the formation of the Trompies trace back to when the four members, Zynne ‘Mahoota’ Sibika, Mandla ‘Spikiri’ Mofokeng, Eugene ‘Donald Duck’ Mthethwa, and Jairus ‘Jakarumba’ Nkwe, were still youngsters in Soweto's Meadowlands Township. Last but not least is the Kwaito star Thebe who first became famous for his song ‘Bula Boot’. And it is not a surprise that Thebe wish to have the words ‘where is the party?’ engraved on his tombstone because a party is not a party without a song or two from him. Thebe broke into the music industry by mistake. Many who believed his voice was nothing but a pain in the ear were proven wrong when DJ Oscar Wa Rona met Thebe in Mmabatho, North West and encouraged him to sing as his voice was ‘fine’. His first album Dia Boa (Ko Philly) made Thebe an overnight success. He then came out smoking with ‘The Vibe Continues’ ‘Mosito O Tswela Pele’ made up of seven pulsating tracks. If the sound on the album is anything to go by, it seems his vibe will live on eternally. Drawing from jazz influences Thebe takes Kwaito music to another dimension. The Venue is getting ready for one of the biggest shows on their calendar. Get your tickets today for R 250 per person at Computicket. 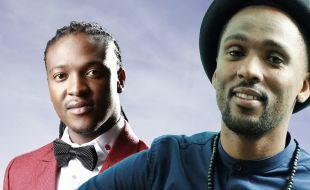 On Saturday, 7 May 2016, The Ridge Casino hosted the music sensations Nathi Mankayi and Monde Msutwana on what was deemed a night of musical delight. Fans were treated to one of the most incomparable performances of the year. The show was packed to the rafters with over 1000 guests attending this musical spectacle. 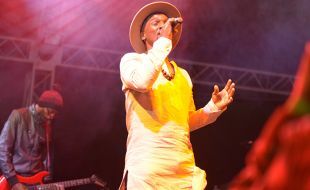 Nathi and Monde ensured that it was a night to remember with a surprise act from Vusi Nova who joined in to conclude what was a truly memorable performance. Young and vibrant artists like Nathi and Monde are prime examples of how South Africa’s music industry is being taken to greater heights. 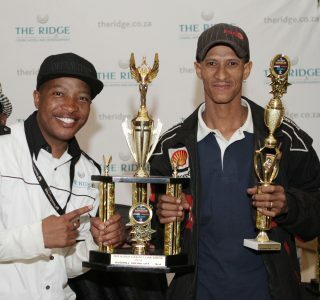 The Ridge Casino prides itself in bringing guests the best in local entertainment. At the break of dawn on Saturday morning, hundreds of bikers arrived to showcase their powerful, vintage and customised motorcycles to the locals in the town of Witbank. Festivities on the day included delicious delights from the many food and drinks stalls, thrilling live performances and loads of exciting activities for the children. “It was a great honour for The Ridge to have been part of hosting this charitable event. 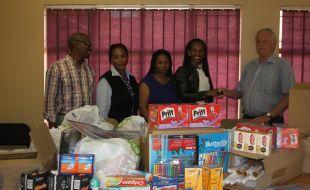 The donations will greatly assist Solidarity this coming winter”, says Sharika Betts, Marketing Manager at The Ridge Casino. Middelburg Care Village can look forward to a good start to school this year with the recent donation of back to school stationery from The Ridge Casino, at a handover event which took place on Tuesday, 12 January 2016. The Ridge is a long time CSI contributer to the Middelburg Care Village supplying personal hygiene products for the children at the village on a monthly basis. The Middelburg Care Village is a non-profit facility catering to orphaned children from 3 to 18 years of age. The facility was started to address the need for residential care facilities for children in Mpumalanga. The Rotary Clubs of Middelburg and Witbank facilitated the funding through Anglo Coal, BHP Billiton and Xtrata Coal. Children are given 3 meals a day, assisted with their homework and provided with life skills training for the youth. 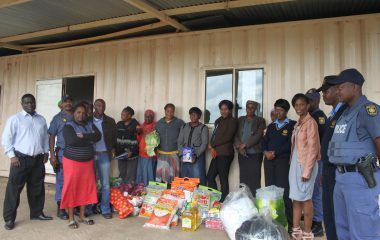 Support is given to raped and abused survivors, and they also have gardening projects which are run to supplement meals. “We are excited to be making a positive contribution to our community with this donation. It is important to ensure that learners are fully equipped with the right tools to have a successful year,” says Marketing Manager, Sharika Betts. 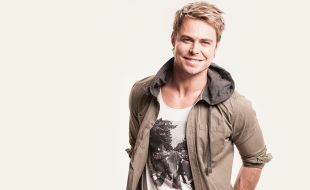 Fans of the local music scene are in for a treat, on Saturday, 4 June 2016, as Afrikaans pop singer-songwriter, Bobby van Jaarsveld, gets ready to take to the stage at The Ridge Casino. Not only will he be serenading the audience, but he will also showcase his new album ‘The First Ten Years Bobby van Jaarsveld. Supported by Witbank’s own critically acclaimed band, Leven, the show is definitely one that is not to be missed. Currently a judge on popular singing talent show, The Voice South Africa, van Jaarsveld has found his way into the hearts of many South Africans and has become a household name. Fans from all over Mpumalanga, particularly those of the female variety, will no doubt be flocking to The Ridge, Witbank’s most popular entertainment destination, to experience the music of this multi-award winning artist. In his greatest hits album, van Jaarsveld has for the first time released an English single titled ‘It’s Always Been You’. The song is a love ballade that showcases his vocal ability particularly in the lower range and is evidence of his ability to adapt to a wide variety of music genres and styles. Leven comprises of four musicians; Stan Kruger on lead vocals, Rudi Jansen van Nieuwenhuizen on lead guitar, Quintin de Bruyn on bass guitar and Vernon Swart on the drums. To date the band has released five studio albums and achieved multi-platinum-selling status in South Africa. Their grungy but soulful style is known to set the stage alight. Don’t miss out on this winning combination of local talent which is guaranteed to be a fun-filled evening out for fans of all ages. Tickets for the show are available for only R 150 per person from Computicket. The Ridge Rewards cardholders get up to 20% discount on the show ticket. Doors to The Venue will open at 5pm and show starts at 7pm. A cash bar will be available. Celebrate the success of two of South Africa’s most talented music stars, the Summer Song of the Year Award winner, Nathi Mankayi and former top 10 Idols finalist Monde Msutwana as they get ready to share the stage at The Ridge for an evening of exciting local musical diversity on Saturday, 7 May 2016. “Nomvula” by Nathi has been downloaded by thousands of fans and was an instant hit in 2015/2016 with the star also winning the best African Pop Album “Buyelekhaya”. Impressively he is one of a few SA artists whose album went platinum in a matter of weeks. “Buyelekhaya” is currently sitting on triple platinum, and Nathi has managed to capture the hearts of Mzansi music lovers. The multitalented muso is also a talented painter and sculptor with some of his work displayed at an art gallery in Eastern Cape. 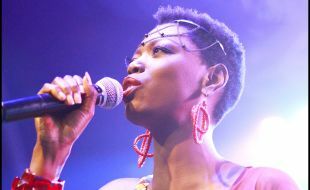 Monde Msutwana’s soulful voice has been heard on Idols, Season 8 in 2012. He went against all odds to beat thousands of contestants and snatched the top 3 spot. His first album, “Introspection” has managed to intoxicate the hearts of South Africans with his soulful melodic lines and lyrics that pull at the heart strings. As a seasoned singer and performer Monde takes audiences along memories and emotions, a journey through Soul, R&B, Pop, Jazz & Rock. Monde has performed on numerous stages both locally and internationally in the past decade and describes his sound as ‘contemporary soul’. “Don’t miss out on this winning combination of local talent which is guaranteed to be a fabulous night out at the Venue, Witbank’s most popular entertainment destination. We are proud to support and showcase the many facets of SA’s home-brewed music and this show will definitely not disappoint”, says The Ridge Marketing Manager, Shakira Betts. Tickets for the show are available for only R 250 per person at The Ridge Computicket. The Ridge Rewards cardholders get up to 20% discount on the show ticket. Doors to the Venue will open at 5pm and show starts at 7pm. A cash bar will be available. The Ridge, was the place to be on Saturday, 27 February 2016 as the popular comedian, Skhumba Hlophe wowed his fans with his new show, #ItsAshubile. The Tembisan born comic headlined a sold-out show with fans from across eMalahleni flocking to The Ridge to see the funny man in action. Hlophe impressed comedy lovers with his hilarious stories and slang causing irrepressible spasms of laughter throughout the audience. The sold-out show made for a memorable night of romance and entertainment with the accomplished singers ensuring that this performance was a particularly special one for the couples and the singles in the crowd. Pictured: Multiple award winning artist, LIRA and Idols winner, Musa Sukwene performed at The Venue, at The Ridge in eMalahleni for a one night only Valentine’s Day show on Saturday, 13 February. 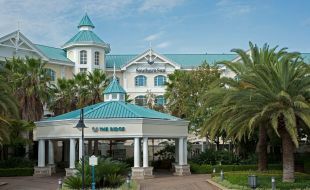 For more information on upcoming events at The Ridge, visit: www.tsogosun.com/theridgecasino. The Robbie Wessels and Ricus Nel performance set to take place at The Ridge on Friday, 5 March 2016 has unfortunately been cancelled due to unforeseen circumstances. “The Ridge has an amazing line up of upcoming events to look forward to over the next few months and we encourage our loyal guests to visit our website and diarise the important dates”, she concludes. 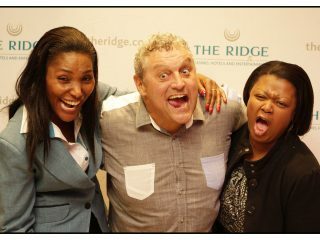 The Ridge is the premier entertainment destination in eMalahleni and offers an exciting array of entertainment options. The Venue is renowned for hosting a wide variety of world-class events and shows. 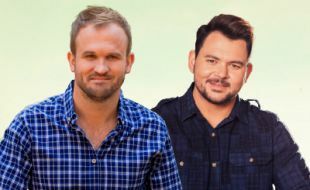 eMalahleni residents can look forward to acclaimed Afrikaans singers and song writers, Robbie Wessels and Ricus Nel, for their live show at The Ridge on Saturday, 5 March 2016. 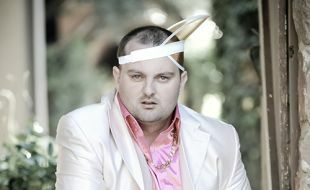 Robbie is an outstanding Afrikaans singer and song writer from Pretoria. He started his career as a voice-actor on radio’s Blinkwater story on RSG, shortly after graduating at the Tshwane University of Technology. He later featured in a television series Gauteng-alêng-alêng as Poena Pieterse, which was later made into a movie. He produced and sang the famous Vodacom advert song, Leeuloop from his 'Halley se Komeet' album which was featured at big sporting events. Ricus entered the music scene as a singer and song writer with his debut album, Sak en Pak, released in August of 2011. He is also well known for his talented ability to play 13 instruments. He will be performing hit singles from his latest three albums “Sout van die Aarde” “Sak en Pak” and “Don Williams”. “This proudly South African line-up is a show not to be missed. We are excited to be hosting this array of talent suitable for the whole family on our stage,” says, The Ridge Marketing Manager, Sharika Betts. Tickets cost from R150 per person and are available at Computicket and doors open at 17h00. 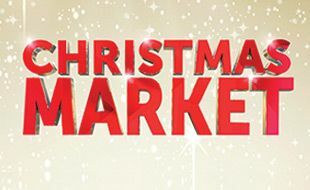 Enjoy the perfect Christmas with The Ridge at the Christmas Market from Saturday, 5 December to Monday, 7 December 2015. This lifestyle event features inspirational gift ideas for your loved ones, handpicked original products with Carols by Candlelight entertainment each evening. Pick from an array of hand-crafted jewellery, ceramics, toiletries and candles made by local entrepreneurs as well as food stalls with a selection of wines, spices and treats. Take a walk around the clothing boutiques and accessory tables to find the perfect gift. The kids play area is the perfect fun zone with jumping castles, water balls, go-carts and water slides. With plenty of sticky treats, popcorn and candyfloss, they will have more than enough energy to sneak in a picture with Santa at the end of the day. Local exhibitors have applied to market their arts and crafts, homeware, pottery, jewellery, woodwork, designer fashion clothing and accessories. There will also be cake and wine tasting, spice sampling, giveaways, gift hampers, competitions and prizes to be won. “We encourage and fully support entrepreneurship. We are proud to be hosting the expo that uplifts the community and brings the local talent to the forefront,” says The Ridge Marketing Manager, Sharika Betts. The proudly South African fare will run from 10h00 to 21h00 daily. It’s ideal for the whole family and the ultimate way to prepare for Christmas with the perfect gifts. Tickets are available at the door from R 20.00 for adults and R 10.00 for scholars. Jonathan hails from the East Rand in Johannesburg and shares his hilarious life experiences with eager viewers all over the world through his YouTube channel, Radio Raps. He will be bringing his uniquely funny sense of humour to live audiences across the country. “Jonathan has become an internet sensation here in South Africa thanks to his YouTube channel, Radio Raps,” says The Ridge Marketing Manager, Sharika Betts. “His latest offering, Life 201, will have guests at The Ridge in stitches, proving exactly why almost 4 million people have viewed his YouTube videos to date,” she adds. Contact The Ridge on +27 13 655 9300 for more information. Afrotainment recently brought their home-grown musical genius to The Ridge, on Saturday, 5 September 2015, for a show titled ‘Afrotainment Night in eMalahleni’ featuring a group of musically acclaimed artists under the Afrotainment record label. The stage at The Venue, The Ridge’s premier entertainment spot, was set for Dj Tira owner and producer of Afrotainment who wowed the crowds along with the super talented Kwaito group Big NUZ, which was followed by an electrifying set by Sifiso Mjoli, also known as DJ Fisherman. Support acts on the night included up and coming acts, such as Amenisto from Gagasi 99.5FM, Makokorosh (Senzo Langa), Sizwe Nkomazi and Phlysoul who all had the opportunity to showcase their musical flair, receiving an electrifying response from the audience. was an amazing crowd pleaser. All of the entertainers are seasoned musos and delivered a formidable show. We love being able to bring events like this to The Ridge, our number one priority is to always keep our loyal guests entertained”, she concludes. The Ridge Casino only hosts the very best of South Africa’s favourite bands and entertainers. On 6-21 October, The Ridge will have the Dinos Alive exhibition which promises great fun for the whole family. It will be taking place at The Venue. It is The Film Factory and Memory Box Productions’ privilege to announce that PAD NA JOU HART achieved a new record by reaching the R 10 million mark at the box office. According to Pieter Geldenhuys of Ster Kinekor Entertainment: “PAD NA JOU HART has become the second Afrikaans movie to ever achieve this result after the hit movie LIEFLING did it first. 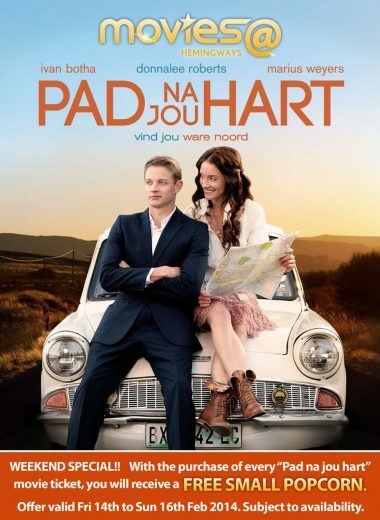 As Producers, we cannot be more grateful for the continued support and we encourage everyone to go and watch PAD NA JOU HART this coming weekend at a cinema near you. The much-anticipated sequel to the hysterically-funny South Africa-produced comedy, Ek Joke Net, hits local cinemas in May. Local fans will have the opportunity to meet members of the cast at Movies@The Ridge on Friday the 25th of April. Stars of Ek Joke Net 2, Hannes Brummer and Solomon Cupido, will be at The Ridge Casino’s cinema complex from 11:30 to 13:45 meeting their fans and signing autographs. Visitors are urged to bring shirts or other memorabilia for them to sign. Ek Joke Net 2 is entirely locally directed and produced, with an all South African cast. As with the first hit film, Ek Joke Net 2 features a series of eye-wateringly funny pranks staged in a range of truly-South African settings, and orchestrated to catch unsuspecting victims totally unaware. With this one, “nobody is safe”. Under the banner of the newly-established Comical Actors Commission, they prank their unsuspecting prey during every day activities, when they least expect it. Students find themselves in the midst of a drug bust, a blind man asks for help while buying condoms, video store assistants discover pornographic films in customers’ DVD cases, and a well-known rock band is threatened by police. “The pranksters really take things up a notch in Ek Joke Net 2. The movie promises to be side-splitting stuff. We are excited about hosting two of the cast members at The Ridge and invite their fans to come down to meet them. It should be an entertaining morning, “says The Ridge Marketing Manager, Thapelo Modise. 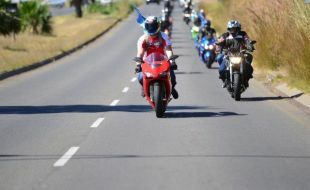 Hundreds of motorbike riders are expected to roar through eMalahleni in a mass ride for charity that will end with a family-style biker’s event at the Ridge Casino’s Events Park on Saturday the 24th of May 2014. Bikers will get to show off theirbikes and enjoy a day in the winter sun, with live entertainment, kids’ activities, food stalls and a craft market. The first 200 bikers to arrive at The Ridge after the mass ride will be treated to breakfast on the house between 09h00 and 11h00. Bike enthusiasts, friends and families are called to be part of the fun-filled outdoor event. Entrance costs R20 per adult and R10 for children under the age of 13. Visitors are urged to bring a blanket along which will be donated to a local charity for people in need of warmth this winter. “Just a few weeks after our successful Supercar Showcase, we can look forward to the Biker’s Day. We encourage the community to support the event by bringing a blanket for charity. It’s a wonderful opportunity to enjoy a day outdoors, perusing stalls, admiring motorcycles, and enjoying some great live entertainment,” urges the casino’s Marketing Manager, Thapelo Modise. The event kicks off at 10am until 4pm. There will be an array of stalls selling food and refreshments. No cooler boxes or alcohol may be brought onto the premises. In addition to live entertainment and the market, there will be exciting bikers’ games and photo opportunities.  The Ridge Casino has sponsored a spectacular accommodation package as a prize in the raffle competition proceeds of which will also be donated to charity. Tickets can be purchased at the event and the lucky draw will take place at the end of the day. Companies and individuals keen to leverage the event to showcase their brands and sell products and services can contact Caroline Kgotso at 013 655 9496 or email caroline.kgotso@tsogosun.com. Stalls are limited. A full house of comedy fans cheered, laughed and clapped in an effort to keep comedy legend, Barry Hilton, on stage for longer when he recently performed at The Ridge Casino. Performing his latest one man show, The Way I See It, the rubber-faced comedy veteran had his audience in stitches of laughter with his elastic-like facial expressions and hysterical observations of everyday situations. As always, he kept it clean, proving that stand-up comedy can be riveting and hilarious, without swearing, political references and general dirt. 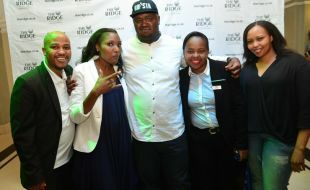 He is pictured here after his show with the Ridge Casino’s Promotions and Events Coordinator, Caroline Kgotso-Masha (left) and Marketing manager, Thapelo Modise. Tsogo Sun proudly supports the National Responsible Gambling Programme. Winners know when to stop. Only persons over 18 are permitted to gamble. National Problem Gambling Counselling Toll Free Helpline 0800 006 008. Hundreds of car enthusiasts flocked to The Ridge on Saturday the 26th of April for the annual Supercar Showdown. With some of the region’s best sound systems and supped-up engines on display, it was a loud and thrilling event. Participants could enter their pimped-up cars in the Show ‘n Shine or Sound Competitions, with stunning prizes awarded in each category. Running in tandem was The Ridge’s website competition, which was open to the public. All entries were put into a lucky draw which took place at the prize-giving at The Ridge Food Court at the end of the event. The prizes were a set of car subwoofers and amplifier including wiring and installation, worth R 4 000, a car radio and speakers including installation, worth R 2,000, a set of car speakers including installation, worth R 1 000, Max My Ride hamper value R 500 and Supersonic hamper worth R 500. “We would like to extend our heartfelt thanks to everyone who came down to support our annual Supercar Showdown. In particular, we thank our sponsors for providing such awesome prizes. They include Max My Ride and Supersonic,” says Thapelo Modise, the Marketing manager of The Ridge. A family-styled outdoor event, the Supercar Showdown, included music by DJs, food and refreshment stalls, and children’s entertainment by Dream Time Entertainment. Youngsters were kept entertained with a magic show, clowns, games, face painting, balloon modeling and stilt walkers. Various local businesses and individuals hosted stalls in the expo area, leveraging the great opportunity to showcase their products and services. 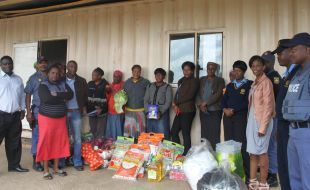 In the spirit of community, The Ridge Casino, and members of the local SAPS Flying Squad and Coin Security, collected money and much-needed groceries for non-profit organization, Thembalethu Home Based Care, in the Springvale informal settlement. The organization helps feed and care for incapacitated members of the community including disabled people, bed-ridden residents, and child-headed households. To help alleviate the incredible burden the organization faces in extending its invaluable services to the community, The Ridge donated R2 000 while employees of the Flying Squad and Coin Security each clubbed-in R50 to add to the collection. Pictured here at the organisation’s base are some of the people who helped make this meaningful donation come to reality. 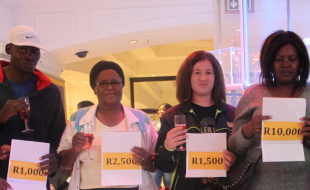 Buoyed by the overwhelming response to its highly-successful Cash Factor promotion, The Ridge Casino has extended it to the 29th of June, with a potential R500 000 to be won. There is R300 000 up for grabs in regular draws and a princely R200 000 to be won in the final draw. As with the first Cash Factor, which culminated on the 30th of March, there are weekly chances to win in this exciting sequel. Weekly draws take place every Wednesday at 7pm, 8pm and 9pm, leading up to the big one on the 29th of June. Each week there is an impressive R30 000 to be won. There is no limit to the number of weekly draws participants can enter. To be in the game, Rewards Programme members must earn points playing their best casino games and get draw tickets without losing their points. Gold cardholders need 500 points per ticket, Platinum members need to earn 750 points, and Black cardholders need 1 500 points per ticket. Draws are tiered, offering more chances to win, and the higher the tier, the bigger the prizes. Points earning commenced on the 1st of April. Members can check their points balances at the eHost to determine if they qualify for a draw ticket. The first draw takes place on Wednesday the 23rd of April. Non-carded gamers can easily be part of Cash Factor by registering for membership to The Ridge Casino’s Rewards Programme at the Customer Service Desk. Membership to the loyalty programme is free. A Rewards Programme card is the key to unlocking unbelievable benefits, exclusive special offers and great discounts at the casino and other Tsogo Sun casinos across South Africa. Now you can take your partner on a charming date night without breaking the budget. 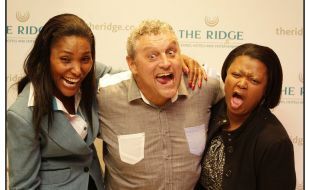 The Ridge has introduced Night Out For 2 which gives you R570 worth of entertainment for only R220! Included in the Night Out For 2 package are 2 movie tickets for a movie of your choice at Movies@ The Ridge; a meal for 2 at Cuban Coffee Shop or Billy G restaurant ; ten pin bowling or putt putt games and R100 casino play voucher to dance with lady luck at the casino. “Besides for using this opportunity to share a night with a friend, I believe that scheduling regular date nights with your loved ones is good for your relationship. Spending special time together shouldn’t necessarily cost you a lot. So, grab this chance to enjoy a special date with your loved one for under R250 – just like I will do,” says The Ridge Marketing Manager Thapelo Modise. 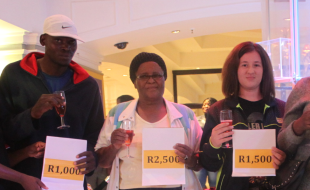 The Ridge Casino’s quick-paced Cash Factor promotion drew to an exciting end on Sunday the 30th of March, with 12 lucky winners sharing the prize pot of R80 000 in cash. The overall winner took home an impressive R20 000 in cash and was elated when the announcement was made. Cash factor was a tiered promotion, with separate draws for each of the casino’s Rewards Programme membership levels; Black, Platinum and Gold. Four winners per tier were selected. 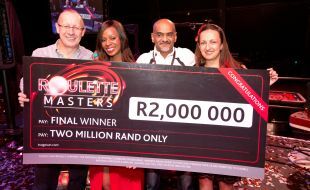 Cash Factor ran from the beginning of February and saw the casino give away over R120 000 in cash. The Ridge would like to take this opportunity to congratulate all the winners of this really exciting promotion! The countdown to The Ridge Casino’s Annual Car and Sound Show has begun. With the date set for Saturday the 26th of April, car enthusiasts can start revving their engines and polishing their rides to show-off. The family-styled outdoor event will include music by DJs, a market, food and refreshment stalls, and children’s entertainment by Dream Time Entertainment. Youngsters will be entertained with magic shows, games, face painting, balloon modeling and stilt walkers. 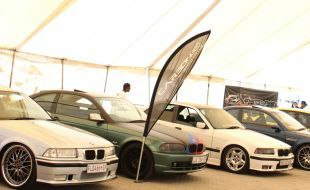 A convoy is expected from Pretoria, Johannesburg, Ladysmith, Dundee, Newcastle and Ermelo, to bring cars with the best fittings in the country; this year’s car show promises loads of excitement, stiff competition, and extraordinary cars and sound. “We are looking forward to yet another thrilling car show. Last year’s event attracted entries and spectators from Johannesburg and Pretoria, to Ladysmith. This year, we are expecting a record number of entries. With entertainment for the whole family, it’s a great day out,” says the casino’s Marketing Manager, Thapelo Modise. It takes place at The Ridge Events Park from 10am and will continue throughout the day until 6pm. The prize giving will take place at 7pm at The Ridge Casino’s Food Court. The entrance fee is R40 per adult and R20 per child under the age of 13. Added benefit for The Ridge Rewards cardholders, with FREE entry for Black cardholders up to 4 pax with additional pax at R20pp, FREE entry for Platinum cardholders up 2 pax, with additional pax R30pp and R30pp for Gold cardholders. Car enthusiasts can enter their cars or just pop by to see and hear some of the entries, and enjoy the carnival-like atmosphere. The competition features Sound Competition and Show n Shine. An addition for this year is the Cross fit Challenge, where the contenders will go through 10 obstacles to WIN! There is a male and female competition at R100 entry per person. Vehicle owners pay R150 per car, per category they enter. Registration and entry fees will be administered on the day – there is no need to enter or pay beforehand. There are super prizes to be won in each category. Companies and individuals interested in hosting stalls at the show can contact Caroline on 013 655 9496 or email caroline.kgotso@tsogosun.com. The Ridge Casino has launched a fun-filled promotion which gives like-minded individuals a chance to be part of an exciting slots tournament, meet new people, and win some money. “We’re calling on everyone with a sense of fun to be part of our first Battle of the Singles SlotsTournament. This is your chance to take on your friend or somebody new.It’s you against the rest in this fast-paced but light-hearted game. “The money pot starts at R5 000 in cash and the title of ‘The Ridge Casino Battle of the Singles Champion will go to the ultimate winner at the end of the tournament” says Thapelo Modise, the casino’s Marketing Manager. The tournament runs from the 28th of January until the 9th of March. Heats take place at the casino every Tuesday and Thursday night between 6pm and 9pm. Buy in is R30, and there is no limit to the number of times individuals enter. The more buy ins, the more the pot money grows!! The entry fee includes and half price drinks for qualifiers at Baxter’s Lounge. The Battle of the Singles Tournament is open to all players over the age of 18. Homegrown talent takes centre stage with a music extravaganza featuring Musa Sukwene, Brenden Ledwaba, and Monde Msutwana – all top contestants in the hugely-popular SA Idols competition – at The Ridge Casino on 14th February. Together they will take their fans on a musical journey, singing reneditions of timelss hits by popular artists and some of their own original songs. Musa, who originally hails from eMalahleni, emerged victorious as the winner of South Africa’s most widely-watch reality talent competition in 2013. More than 2-million peoplevoted for him, pushing him into the lead, ahead of runner-up, Brenden, by amere 1 000 votes. Never before, in the history of that show, has there been such a close race for the winning-slot. Musa has the world at his feet. With a recording contract from Universal Music South Africa, he will be working on his debut album. He plans to compose his own music, hoping to work closely with other artists such as HHP, The Muffinz and The Soil. The runner-up in the competition last year, Brenden, from Graskop, was also extremely popular throughout the 9th season of the show, enjoying much love and support from fans countrywide. He is currently studying sound engineering at Emendy Sound and Music Technology College in Pretoria, South Africa. With his knowledge of contemporary music and professional training, Brenden is well-versed in studio production, mixing, and mastering music. Aside from singing, Brenden also produces music or “make beats” and writes his own songs. 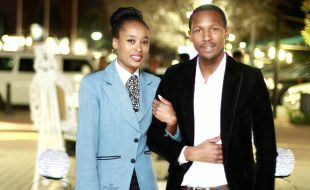 Both singers have already released new singles with music videos –Musa’s single is “I Still Feel It” and Brenden’s song is called “Fingerprints”. eMalahleni’s Monde Msutwana, another firm favourite from the reality talent show, is a versatile and talented performer who keeps himself busy performing in live shows across the country. He released his long-awaited debut single, "Anything Is Possible” in March last year and he also moonlights as a radio presenter. Tickets to the show at The Ridge Casino cost R120 for standard tickets and R200 for golden circle tickets per person and are available from the casino’s cash desk. The event starts at 20h00. 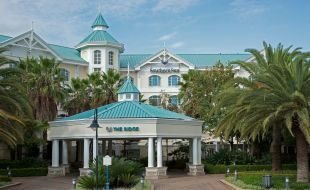 For more information please visitwww.theridge.co.za or call The Ridge Casino on 013 655 9300. Local movie buffs will get the chance to meet the stars of award-winning writer and director Koos Roets’ new Afrikaans movie, Faan se Trein, atMovies@The Ridge on Saturday the 25th of January 2014. Willie Esterhuizen and Anel Alexander, who appear in the movie, will be at The Ridge Food Court meeting and greeting fans from 16:00. “The Ridge is a staunch supporter of local arts, film and culture. We frequently show locally produced films at our cinema house and when possible, give local fans a chance to meet the stars who perform in the movies at meet and greet sessions. “We are delighted to be screening Faan se Trein atMovies@The Ridge. Directed by the award-winning Koos Roets, it is touted to be one of the biggest Afrikaans movies to be released in 2014. We also lookforward to hosting Willie Esterhuizen and Anel Alexander, and urge fans to pop down and meet them,” says Thapelo Modise,The Ridge Marketing Manager. Faan se Trein, originally written by playwright, Pieter Fourie in 1970, was performed as a stage production for the first time in 1975 and has been hailed as a timeless Afrikaans classic. It is a story about a simple minded man living in a tiny Karoo community, and his love of trains. He lives with his aging father, Frik, supported by the unconditional love of their housekeeper Truia. The town is divided about Faan. Some feel threatened by him and push for him to be institutionalised. Things come to a head when Faan’s aged father, Frik, is awarded the contract to build the town dam only to fall terminally ill before the work is completed. The town Doctor, a man with a dark secret, and his young resentful wife Beatrice, visit Frik. It is then that Beatrice notices the valuable possessions in Frik’s house – all destined for either Faan or the church when Frik passes on. Beatrice, overcome by desire for Faan’s inheritance, sets out to manipulate and seduce Faan. The movie hit The Ridge BIG SCREENS from Friday, 24 January 2014. 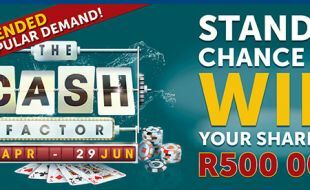 February sees the launch ofThe Ridge Casino’s first big gaming promotion, Cash Factor. True to form, the casino has substantial prizes to give away. Between the 5th of February, when the promo kicks off, and the 30th of March, the casino will give away over R250 000 worth of cash and Freeplay. Both slots and tables players can get into the game by using their Rewards Programme cardswhen playing at the casino. They can then use their points earned between the 26th of January and the 30th of March for draw tickets. According to the casino’s Marketing Manager, Thapelo Modise, there are weekly chances to win every Wednesday throughout the promotion. “There is a guaranteed R21 000 in cash and Freeplay to be won in the weekly draws running- up to the finaldraw. There is no limit to the number of draws participants can enter,” she says. The tiered-draws take place at 6pm and 8pm on Wednesdays, with separate draws, and prize allotments, for Black, Platinum and Gold cardholders. The final draw takes place on the 30th of March when an impressive R90 000 cash will be won. Non-carded gamers can easily be part of Cash Factor by registering for membership toThe Ridge Casino’s Rewards Programme at the Customer Service Desk. Membership to the Rewards programme is free. A Rewards Programme card is the key to unlocking unbelievable benefits, exclusive special offers and great discounts at the casino and other Tsogo Sun casinos across South Africa – Get the card, Unleash Value!! !